Anyone visiting a foreign country should always have travel insurance since medical treatment services not at home can be expensive. Australia, however, is slightly different in that respect, because it provides Overseas Visitors Cover to people staying in the country for a period of time on select visas. What is Overseas Visitors Cover? Overseas Visitors Cover is private health insurance available to visitors who travel on any of the following visas: 400, 417, 457, 462, 470, 476, 485, 600, 601, or 651. A low-cost premium will allow these visitors to have access to a host of healthcare benefits that they would otherwise have to pay for, such as emergency ambulance cover, for example. When visitors from these countries are traveling to Australia, they can take advantage of free Medicare benefits under certain conditions without requiring Overseas Visitors Cover. Similar to other forms of private health insurance available, the range of services available under Overseas Visitors Cover will depend on the selected level of cover. When using Overseas Visitors Cover, visitors should know that most of their expenses are covered based on the Medicare Benefit Schedule, and they might still encounter additional and out-of-pocket expenses. Overseas Visitors Cover offered by insurers all impose varying restrictions or limits to the cover provided. Prior to buying any cover, visitors should be aware of these limitations to prevent any needless – and potentially costly – surprises. Waiting periods – A waiting period is common among most insurers, during which time medical claims cannot be submitted; this is beside the regular waiting periods for specific treatments. It is mandatory to purchase the cover 14 days in advance, or within a week’s arrival to Australia. Pre-existing conditions – Certain pre-existing conditions may only be partially covered or not at all. 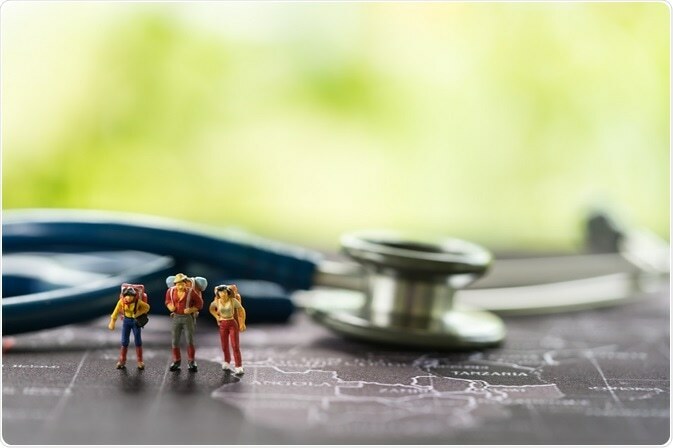 Whether individuals are traveling to Australia to study, work, or for a brief stay, Overseas Visitors Health Insurance might be necessary or it could provide additional benefits when compared to standard travel insurance. Customers can visit iSelect to make a simple comparison of available Overseas Visitors Cover that comprises of cost, requirements, and exclusions.